PSA: Get your flu shot. 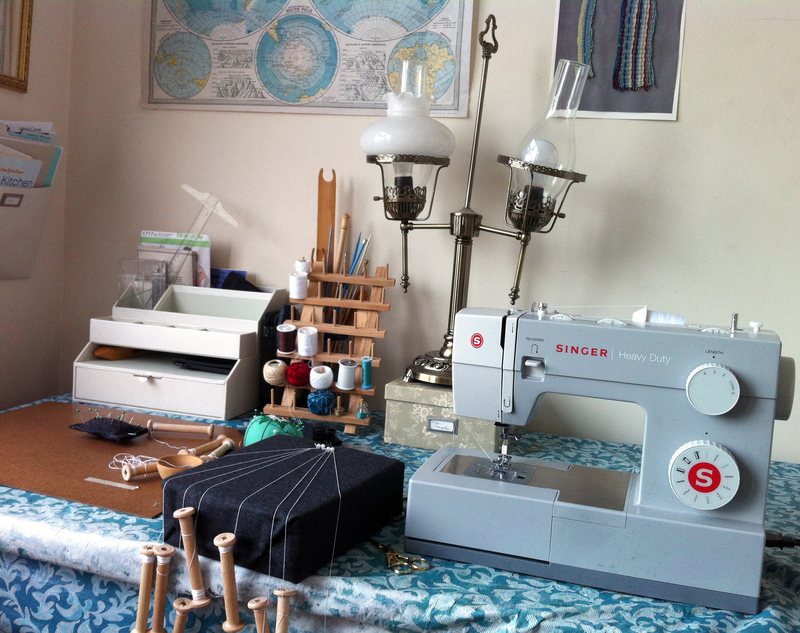 In addition to its role as a major public health threat, the flu interferes dreadfully with one’s crafting goals. 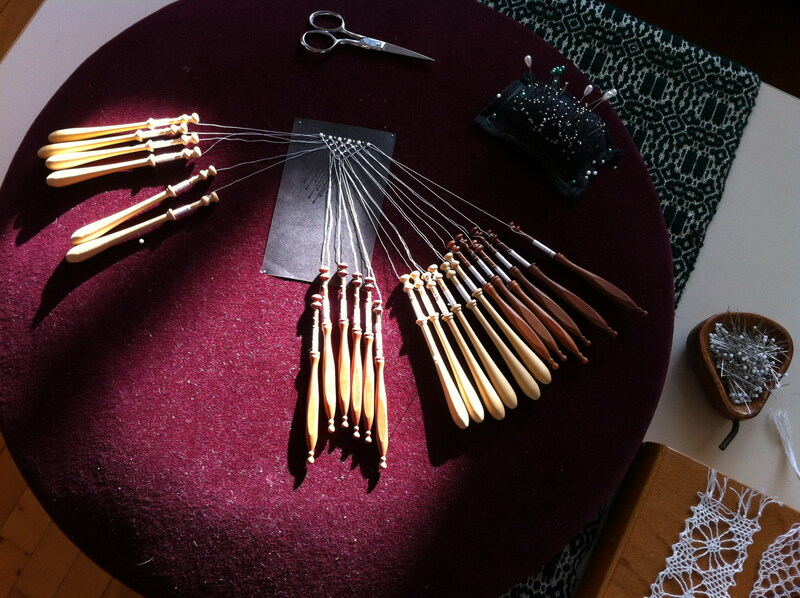 I’m just now getting around to rounding up photos of the Christmas gifts I made for people this year, of which the largest undertaking was the Giant Secret Weaving Project. As not all of the intended recipients have yet received their finished objects, I will have to remain mysterious about the intended purpose of the warp… but not so mysterious that I can’t give you a sneak preview. 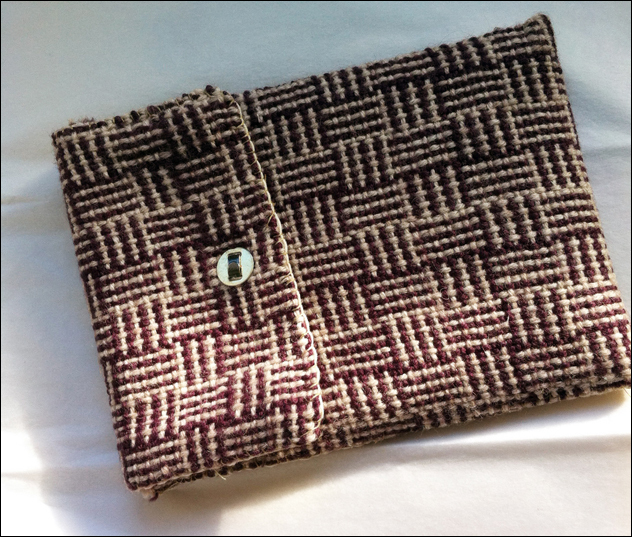 – A woven Kindle case. 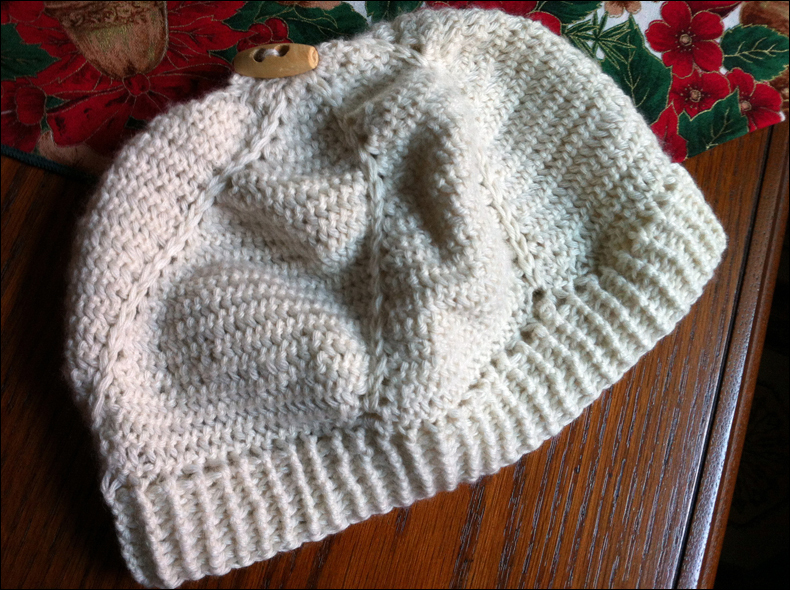 The fabric for this was woven on my little two-shaft Brio loom, if you recall, and I’m pleased with how well the cloth turned out. 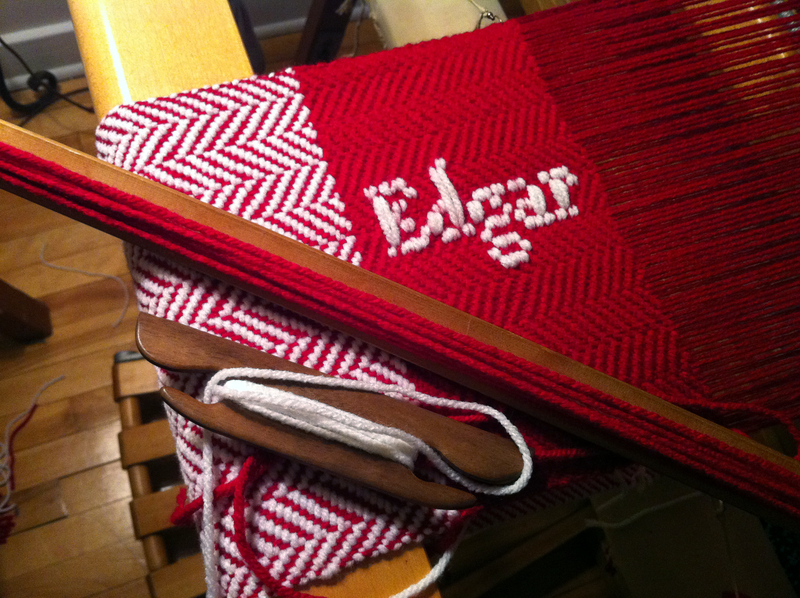 I did have to add interfacing– a dense sett being difficult to achieve through the loom’s wooden reed– but it’s a sturdy little case, despite my shoddy job of hand-stitching the seams. – A pair of scarves for my parents’ dogs. These still need to be modeled by the beasts, but since it’s taken me so long to assemble this post, I decided not to hold it up any longer. You can wait for cute puppy pictures, right? – Tea towels. 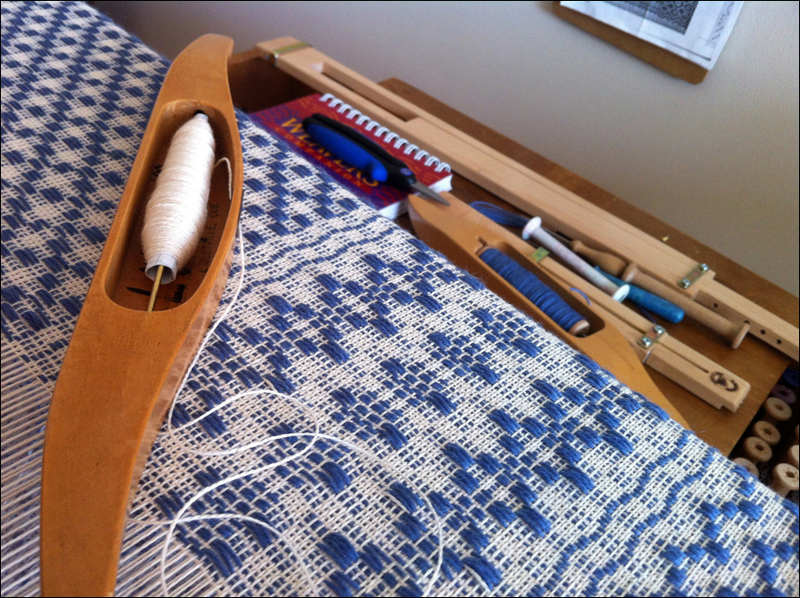 Another on-loom picture, since I wove these at my guild, so I need to wait for them to be cut off. The weft is naturally dyed cotton, since I only had undyed yarn, and my turn to weave came up unexpectedly, and there was no time to mordant, so… out came the cutch! 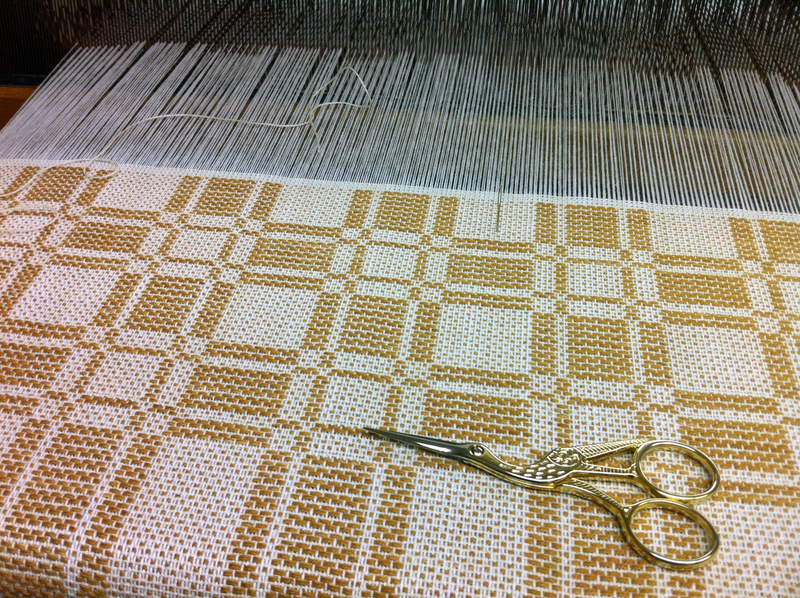 It’s actually a very nice shade of brown, but the lighting in the loom room doesn’t do it justice. The strange gray object to the left? With the bobbins hanging from it? That is a harbinger of doom. 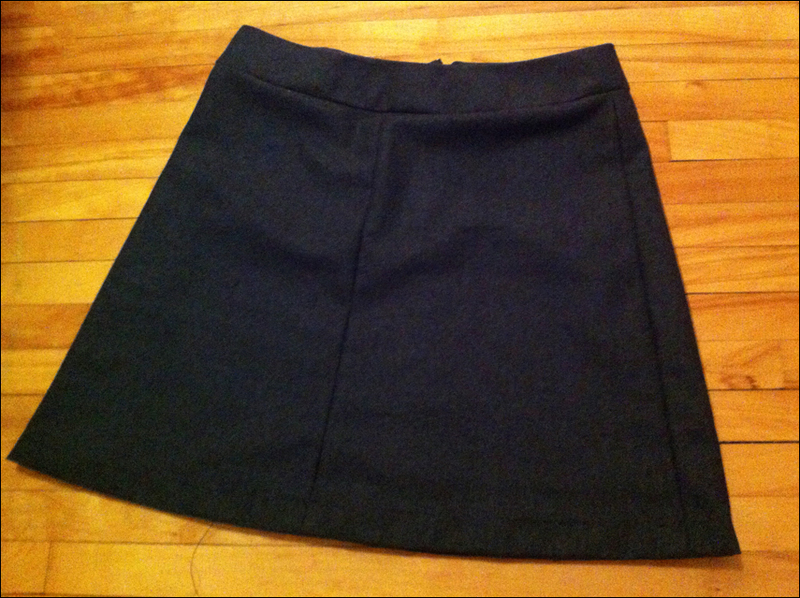 I whipped up a wool skirt to wear to work, upon which I managed to spill mustard sauce on its second wearing. Dilemma: take the whole thing for dry cleaning, or replace the unfortunate panel with leftover fabric? After such frustrations, and despite a long to-do list involving less portable crafts, tatting seemed like a good thing to spend the rest of my winter vacation on. 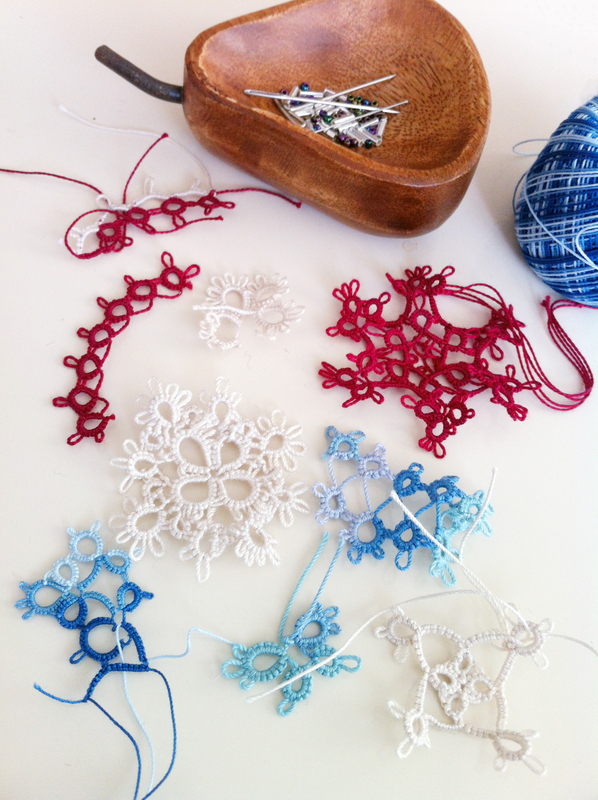 And then, the tatting triggered some memories of things seen at fiber festivals… and I felt that itch… you know the one. The one that signals a new craft on the horizon.